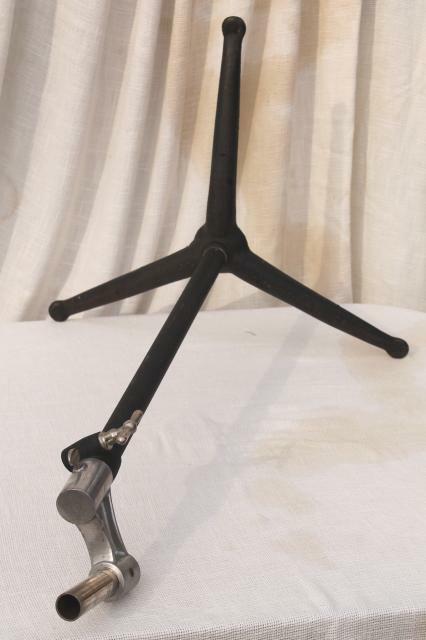 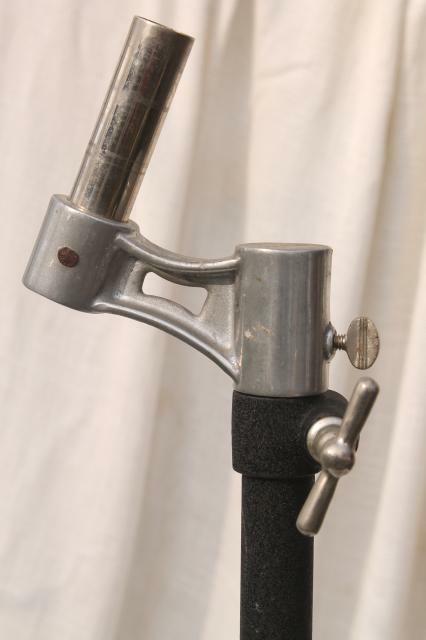 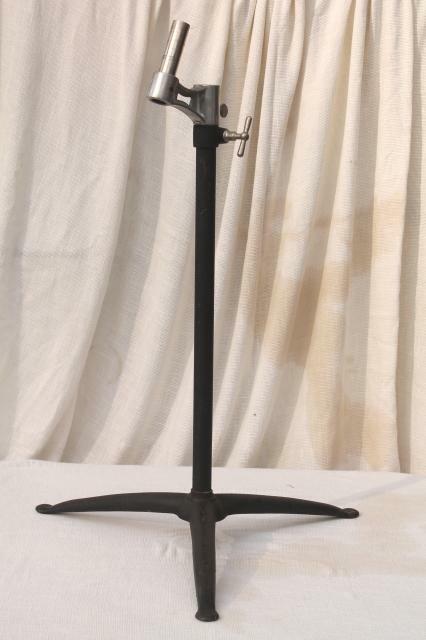 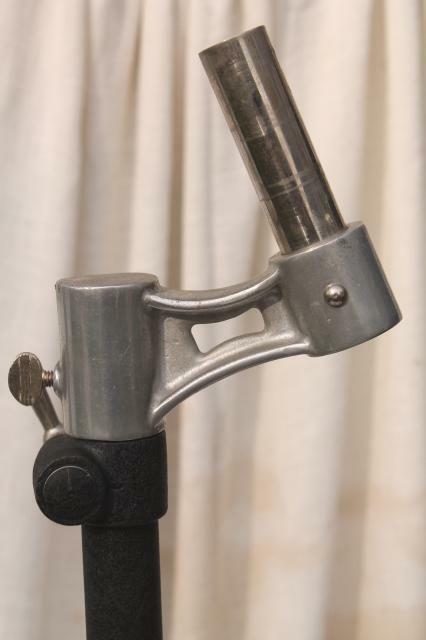 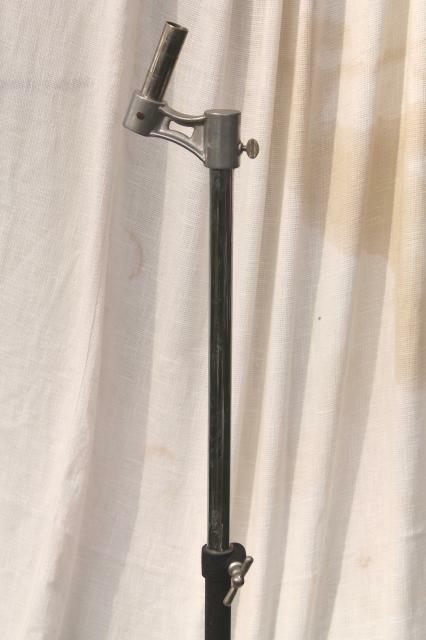 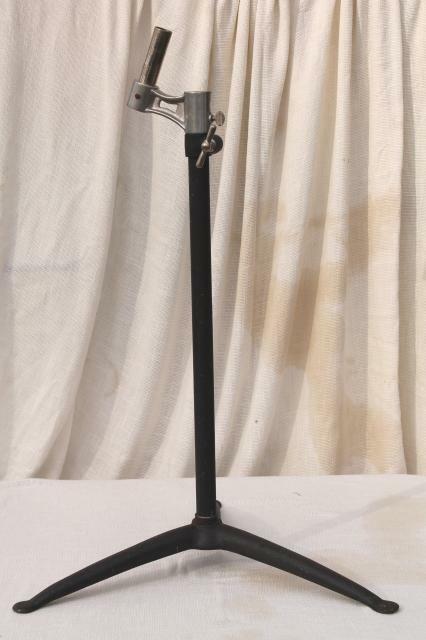 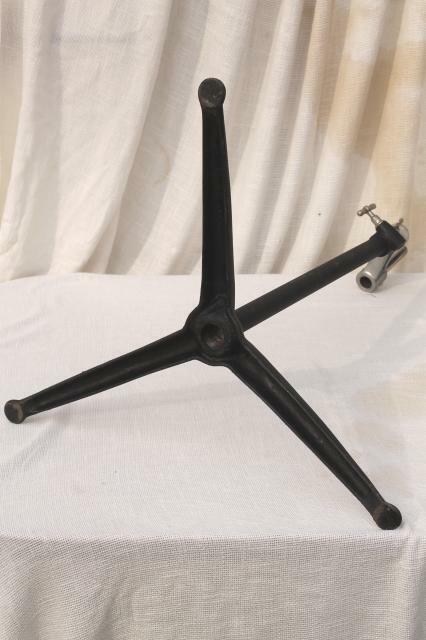 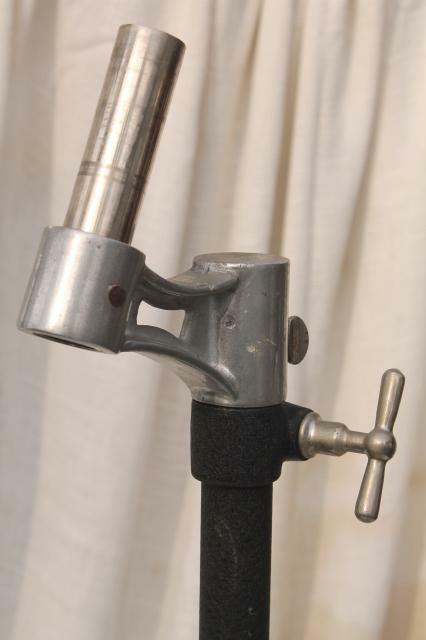 mid century industrial vintage telescoping stand... perfect for an industrial lighting fixture. 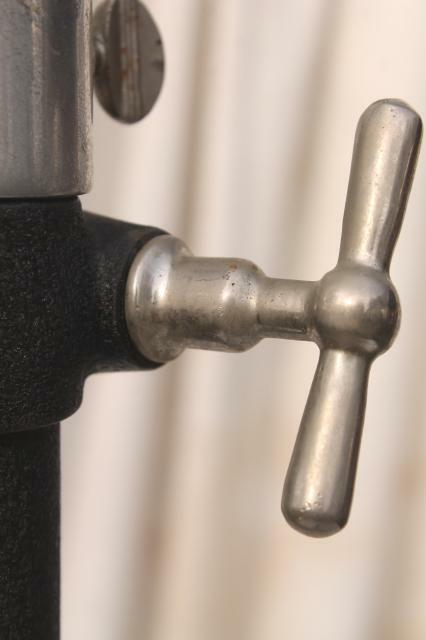 It's got a textured industrial finish. 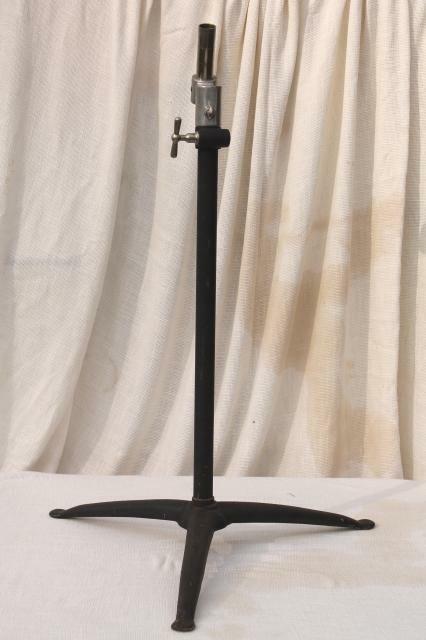 This stand is about 27" high and telescopes up to a height of about 47". 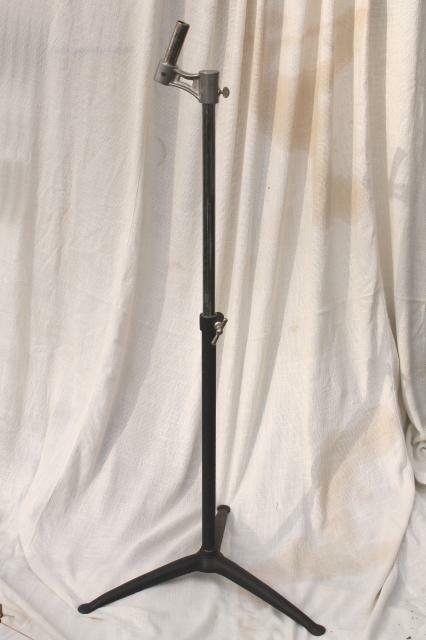 It's about 21" across the base. 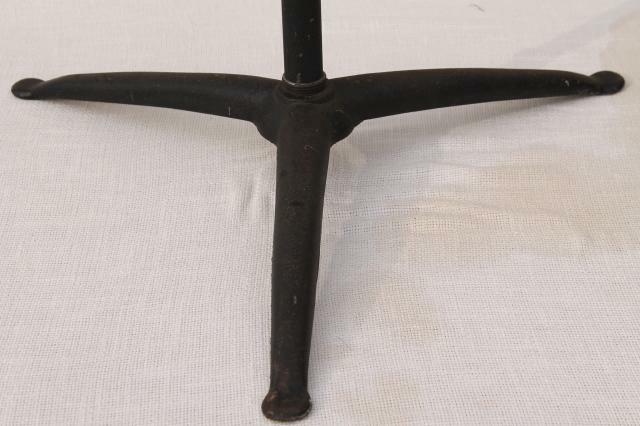 The 3 footed base is cast iron and removes for transport or storage. 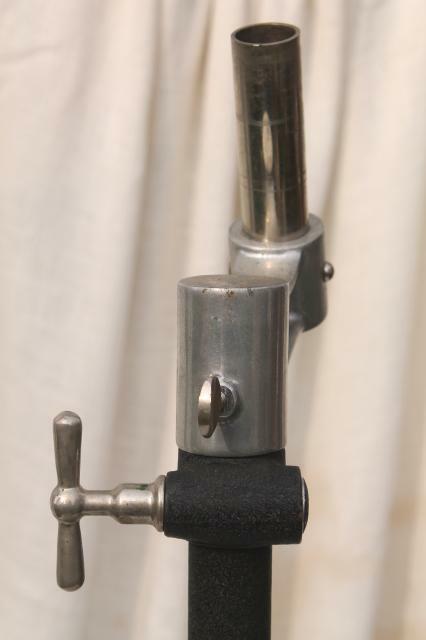 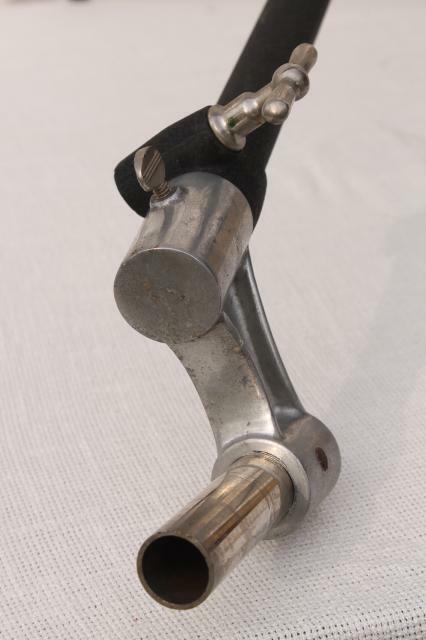 This has wear to the finish and chrome plating and isn't perfect.